Autumn is most assuredly the season for all things pumpkin. As the summer has faded into cooler temperatures, and the landscape bursts into a lovely spectacle of yellows, oranges, and reds, with the intention of warming ourselves from the inside out, we can’t help but reach for the cozy comforts of pumpkin and spice flavored everything—from lattes and cookies to salsas and beers. 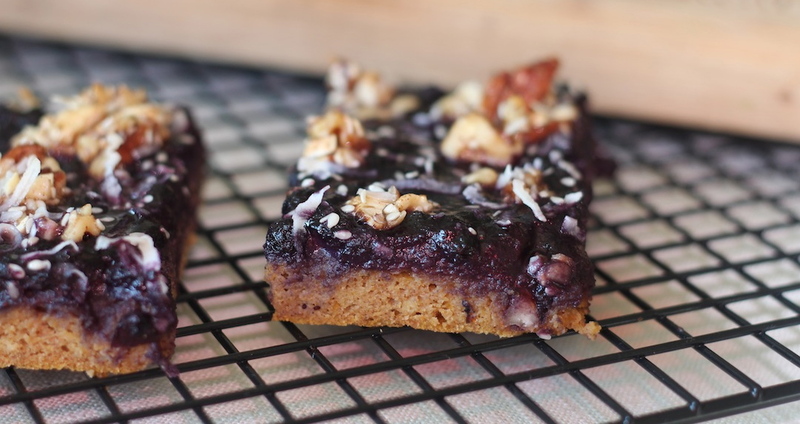 Here is a delightful recipe for Blueberry Pumpkin Muffin Breakfast Bars from the paleOMG blog. It offers the complete package of deliciously filling, pumpkin spiced goodness.